We just got approved for media coverage at Phoenix Comicon Fan Fest so lets take a look at the West Gate area which is right next to the University of Phoenix Stadium. Unlike other conventions that are held in downtown areas, Fan Fest will be held right next door to the entertainment district of Glendale. If you visit West Gate every so often then this article won’t be much help but if you’re attending Fan Fest and have never been to West Gate then hopefully some will find this helpful. 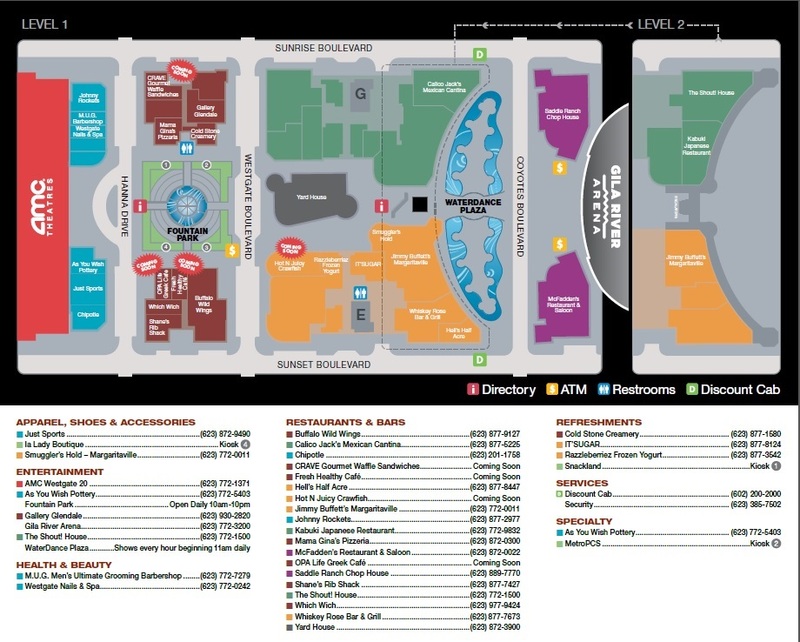 West Gate offers a wide variety of food choices, shopping and an AMC to catch the latest movies. Chances are you’ll be enjoying panels or other activities at Fan Fest all weekend but if you want to mix it up a little bit, there are a few options just a step away from the convention.